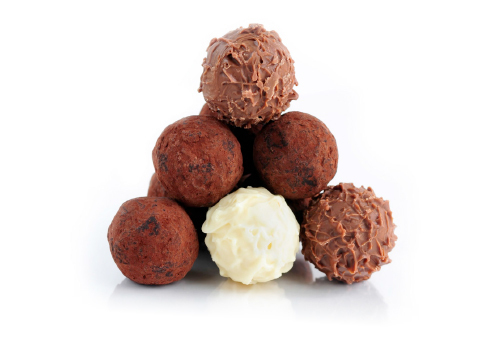 At Huttons we have invented the most silky, luxurious truffles you'll find anywhere in the world! 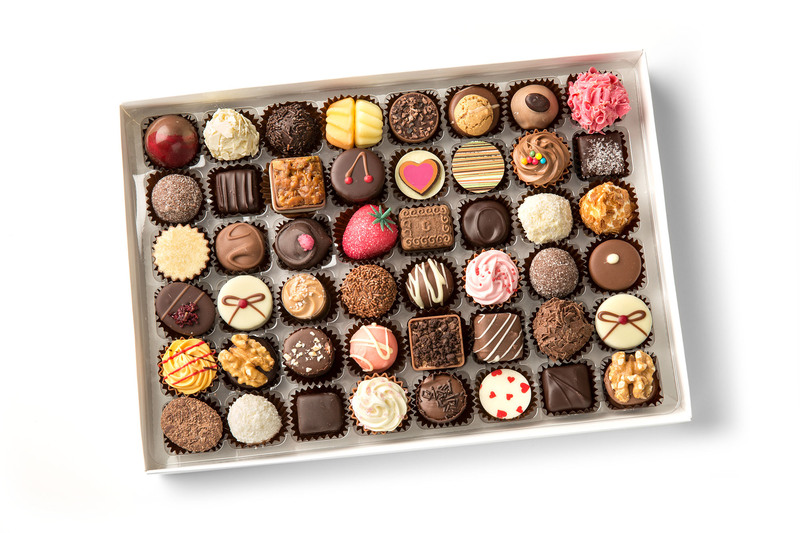 Whatever the occasion, one of our mouth-watering selection boxes will be the perfect gift! 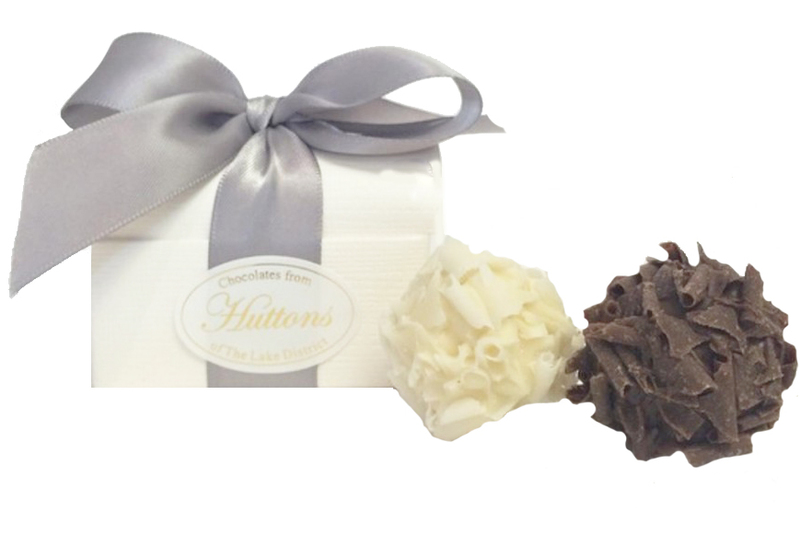 Let Huttons Chocolates make your special day even more perfect with our exquisite wedding favours. Huttons Chocolate Shop is situated in the Victorian arcade on Crag Brow, Bowness on Windermere and was established in 1901, offering locals and visitors to the Lake District exquisite handmade chocolates, truffles fudge and speciality toffee produced on the premises. Almost 120 years later and Huttons is still a thriving family business manufacturing truffles on the premises using original Huttons recipes, ingredients include superior chocolate, fresh local cream and fine liqueurs . Our truffles are filled , dipped and rolled in chocolate splinters individually by hand daily. If you have visited our lovely shop in Bowness and enjoyed a selection of our handmade truffles and would like to send a gift box to a special someone or a treat for yourself – well now you can. Our luxurious handmade chocolates and truffles are available from our online store. Choose from your favourite centres in our ‘loose truffle’ range , we have 50 fabulous flavours to select from including our best selling Pink Prosecco truffle and the latest addition ‘Peanut Butter and Jelly Bullet ’to our chocolate menu .Our handmade loose chocolates and truffles are sold in quantities of 6 per flavour. Presentation boxes are filled with a hand picked selection of assorted centres across our range and are beautifully presented in a ribboned keepsake box. The Lake District is the perfect romantic wedding location and we offer wedding favours to most of the larger hotel venues in the area, 2 handmade truffles in an elegant cream or ivory treasure chest box with coordinating organza or satin ribbon – this service is now available on line and we deliver anywhere on the UK mainland or free of charge if within the South Lakes area. We offer an simple to navigate site to ensure you add all your favourites to your shopping basket and we will endeavour to dispatch your order within 24 hours.